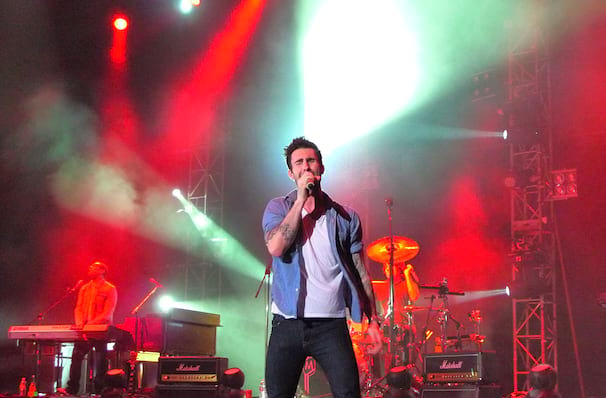 Maroon 5: Red Blue Pills Tour! Maroon 5 are readying their leather jackets in preparation for their North American tour in support of their latest upcoming album Red Pill Blues. Their sixth studio LP, the band released a series of singles in advance of the album which features rappers and R&B singers, including Kendrick Lamar, Future, A$AP Rocky, and single "What Lovers Do" with SZA which reached Number 19 on the Hot 100 charts. Responsible for most of the danceable, infectiously catchy pop mega-anthems of the decade, Maroon 5 are flying higher than ever! Bursting onto the scene in 2002 with debut album Songs About Jane, the pop-rockers earned the Grammy for Best New Artist a mere three years later. They've since added another two Grammies to their Awards cabinet, sold more than 27 million albums internationally and achieved gold and platinum status in over 35 countries. Sound good to you? 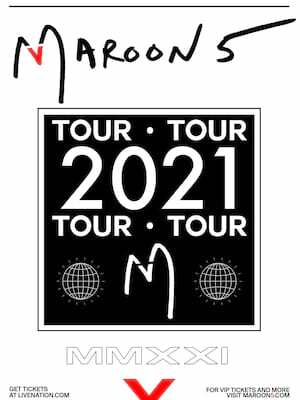 Share this page on social media and let your friends know about Maroon 5 at Wells Fargo Center.